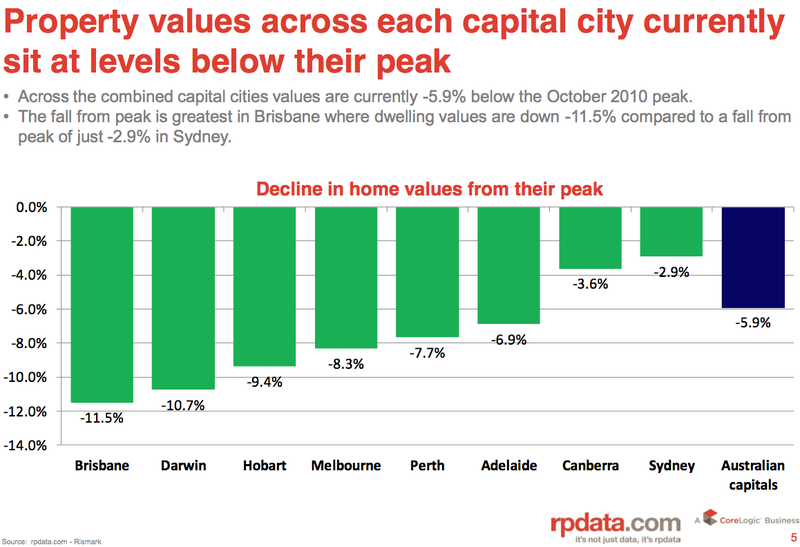 · Capital city dwelling values increased by 0.6% over the month of July 2012. 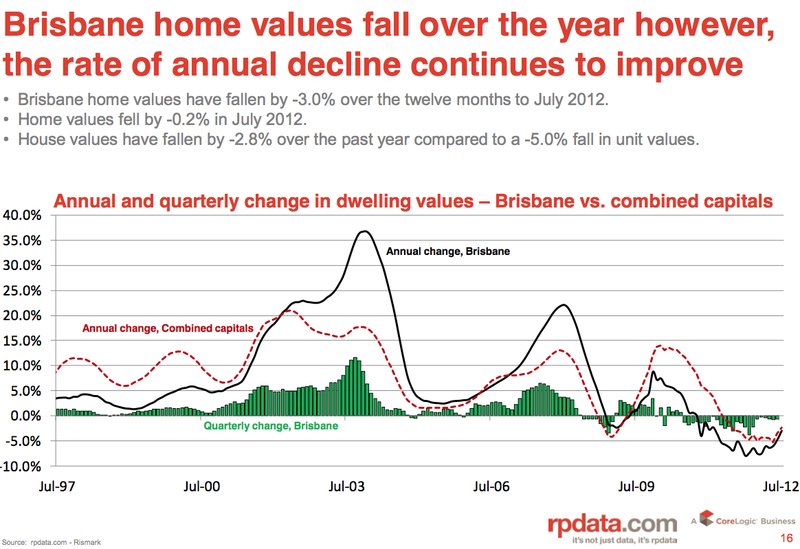 Dwelling values are down -0.6% over the first seven months of 2012 and down -2.4% over the twelve months to July 2012. 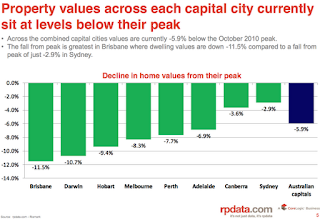 Home values remain -5.9% below their historic highs across the combined capitals with falls from the peak ranging from -11.5% in Brisbane to -2.9% in Sydney. 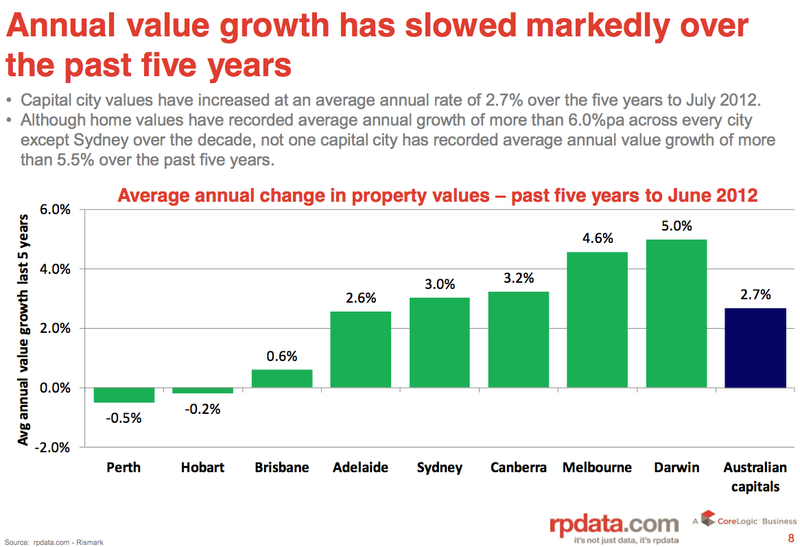 · Looking at value movements across broad price segments in the market to June 2012, the premium housing market is recording the largest falls (down -3.4% over the year) while the broad ‘middle market’ has been the most resilient with values falling by -2.0% and the most affordable suburbs have recorded value falls of -2.9%. 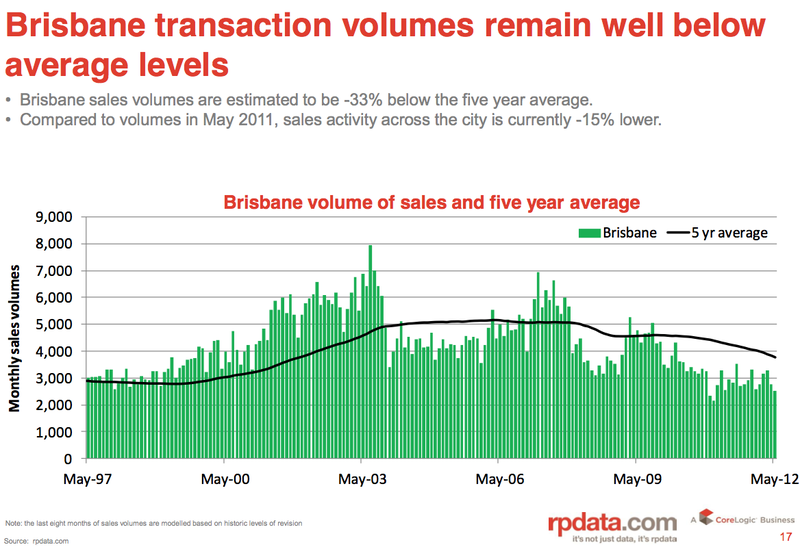 · Compared to volumes in May 2011, sales volumes are currently -4% lower nationally and across the capital cities. · Gross rental yields for houses have improved from 4.0% last July to 4.2% currently and for units they have increased to 4.9% from 4.6% last year. 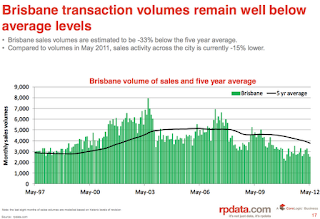 · Based on private treaty sales, it took an average of 60 days to sell a house in the capital cities in June 2012 compared to 68 days at the same time last year. · RP Data is tracking around 296,000 unique houses and units that are available for sale across Australia; that’s about 9% higher than at the same time last year. 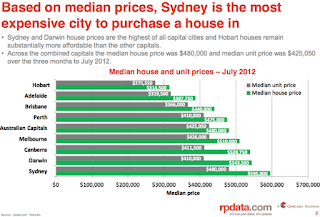 · New listings are actually -14% lower than at the same time last year. · More than half of the total listings are located in the non capital city markets despite the fact that only 35% of sales take place in these locations. · Headline inflation is at 1.2% and core inflation is at 2.0% and trending lower. 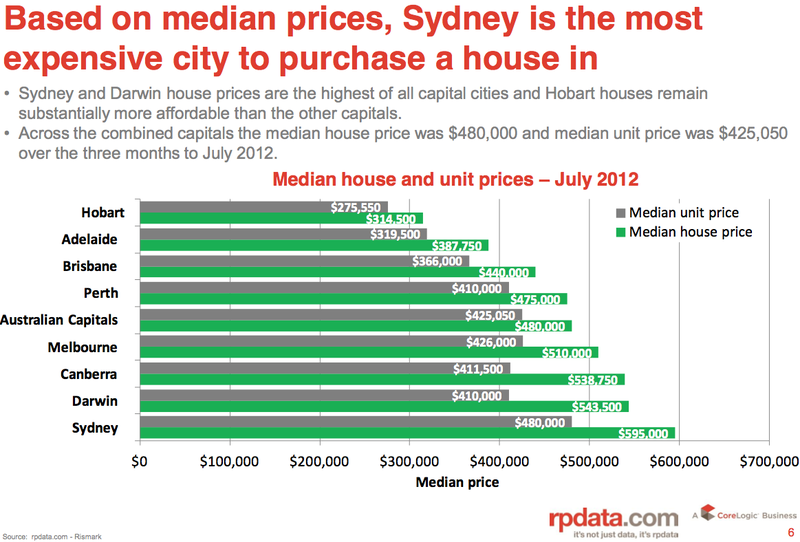 · The Australian economy grew by 4.3% over the first quarter of 2012. · The unemployment rate increased from 5.1% in May to 5.2% in June. · Consumer confidence for July 2012 showed that optimism was outweighed by pessimism however, the Index increased by 3.7% over the month. · First home buyers accounted for 17.8% of all owner occupier finance commitments over the month. · Overall housing finance (ex-refi’s) are up 2.8% over the year while refinance commitments are up 7.5% over the year. · Private sector housing credit continues to grow at record low levels of just 5.1% over the 12 months to June 2012. 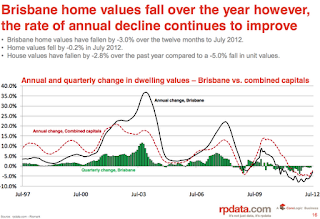 · Dwelling approvals were up 10.2% in June 2012 compared to volumes a year earlier.